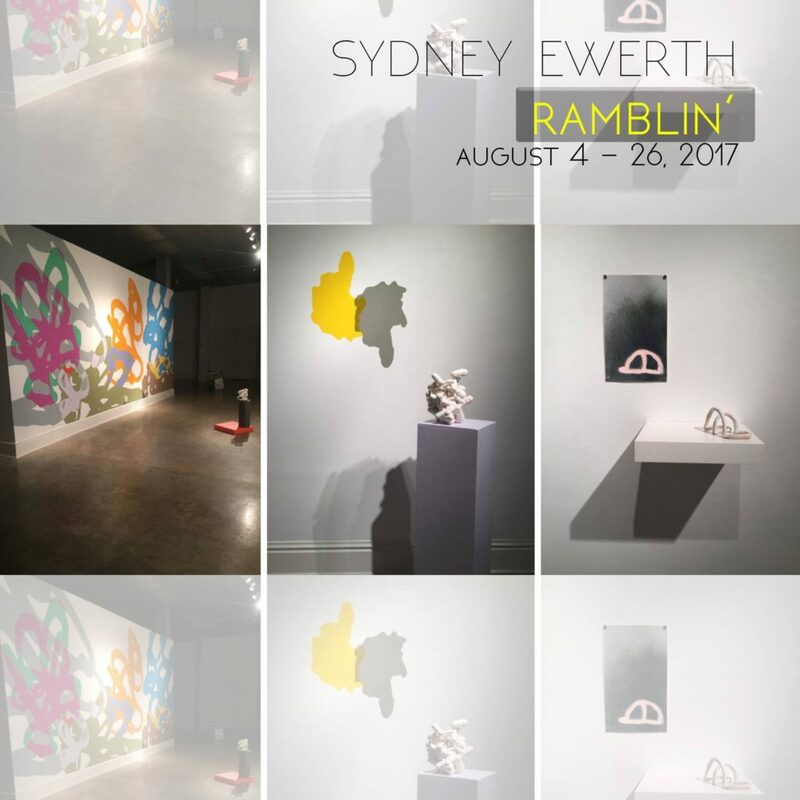 SOUP experimental will open Sydney Ewerth’s exhibition Ramblin’ this Friday, August 4th from 7-10 PM. The exhibition will run through August 26th. Atlanta native Sydney Ewerth received her Bachelor of Fine Arts with a concentration in sculpture and ceramics from Augusta University (formerly Georgia Regents University) in Augusta, Georgia. She recently received her Master of Fine Arts at The University of Alabama. She is currently working as a part-time instructor for the Department of Art and Art History at The University of Alabama.